GENE E. DORN AUSTINTOWN – Funeral services will be held at 11 a.m. on Thursday at St. Mark’s Lutheran Church for Gene E. Dorn, 76, who passed away Saturday evening at St. Elizabeth Health Center. Gene was born Jan. 19, 1937, in Youngstown a son of the late Anson and Doris (Dunham) Dorn. 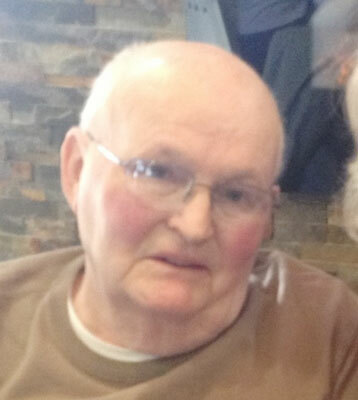 He was a member of St. Mark’s Lutheran Church in Boardman and an active member of Alcoholic’s Anonymous for 43 years. He touched and influenced the lives of many. Gene began working at the Youngstown Printing Company, which later became Youngstown Lithographing, retiring in 1992 after 38 years of service. After retirement he joined his sons company, St. Regis Printing, for seven years. He then enjoyed traveling and spending his winters in Florida. He will be sadly missed by his wife, the former Donna Jean (Theis), whom he married Aug. 24, 1957; three children, Jeffery Gene (Beverly) Dorn of Goodyear, Ariz., Pamela (Rex) Welborn-Mills of North Port, Fla. and Gregory (Angela) Dorn of Austintown; one brother, James (Muriel) Dorn of Salem; and three grandchildren, Ryan, Amanda, and Joseph, all of Arizona. Besides his parents, Gene was preceded in death by two brothers, Donald and Robert Dorn. Memorial contributions may be made to the Alzheimer’s Association at www.alz.org in Gene’s name. Friends may call from 4 p.m. until 8 p.m. on Wednesday at the Lane Family Funeral Homes, Austintown Chapel, and from 10 a.m. until 11 a.m. on Thursday at the church. Family and friends may visit www.lanefuneralhomes.com to view this obituary and to send condolences. Please share your memories of Gene.